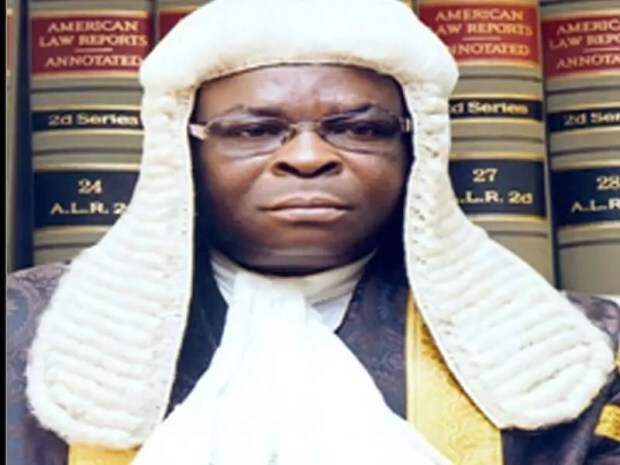 Home / National News / Presidency stages a removal of CJN, to be replaced by Justice Ibrahim Tanko Muhammad. Presidency stages a removal of CJN, to be replaced by Justice Ibrahim Tanko Muhammad. The general election is 35 days away. The CJN, the Supreme Court and the NJC will play certain statutory roles, post the elections. And even as these events unfold, these judicial authorities are playing some adjudicatory and administrative roles regarding the determination of pre-election matters (appeals) arising from contentious party primaries. The CJN is also the head of the Judiciary. Putting him on trial while he is in office, certainly, will impact the Nigerian Judiciary negatively. The portrayal here inevitably will be that the Nigerian Judiciary is so corrupt that its head is put on trial. This depiction is not fair to many judicial officers whose integrity is solid and who are free of corrupt practices. The CJN is, in the eye of the law, presumed innocent, until he is proved and found guilty. Being charged at all, however, implicates his right to fair hearing, as many will start arguing that he should step down from office. In other words, once charged and arraigned, the likelihood is that calls will be made for him to vacate office, albeit temporarily, for integrity reasons. If, in the end, he is found not guilty, irreparable damage would have been done to his reputation and the integrity of the Judiciary. The most important reason why the CJN ought not to have been charged before the CCT, let alone being prepared for arraignment is because the charge is illegal and unconstitutional. In NGANJIWA V. F. R.N, 2018, 4NWLR, Part 1609, Page 301, at page 339, para. G-page 352, para. E, the Court of Appeal (Lagos Division) held that no serving judge in Nigeria can be investigated or tried in a court of law, without first being removed from the Bench. A petition first must have been written against the judge, and he must have faced an administrative disciplinary process of the NJC for an alleged violation of the Code of Conduct for Judicial Officers, found guilty, recommended, by the NJC, for removal from office, and removed from office by the Executive arm of government. In short, only dismissed judicial officers can be investigated and prosecuted by the anti-corruption agencies. That decision is being appealed by the EFCC at the Supreme Court. The position we took when that decision was handed down was that the judgment had no constitutional basis. Judges ( unlike the President, Vice President, Governor and Deputy Governor) enjoy no immunity from investigation, arrest and prosecution, while they are in service. They do not enjoy executive immunity and are not covered by Section 308 of the Constitution. The Court, therefore, cannot grant to the judiciary an immunity the Constitution does not vest in it. The concept of judicial immunity only covers the exercise of the judicial powers of a judge and his jurisdiction. No civil action or criminal action may be taken against him in respect of his judicial work or decisions, but he is not shielded from criminal culpability if he commits a criminal offence while he is in office. The NGANJIWA Decision, however, remains the law in Nigeria today. Nigeria is a constitutional democracy under the rule of law. By virtue of Section 287 of the Constitution of the Federal Republic of Nigeria, 1999, as amended, the judgment is binding on all authorities and persons in Nigeria, including the Executive Branch of Government at the “Federal” level, the Office of the Attorney-General of the Federation, the CCB and CCT.